A Richmond student used a Projects for Peace grant to open a library in his hometown. 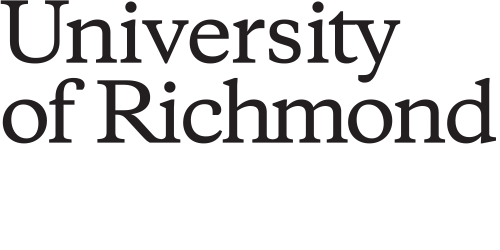 Mike Kitimet, ’19, beat the odds when he enrolled at Richmond. Now he’s working to change them. Kitimet came to UR from Kiserian, Kenya, a town about 10 miles west of Nairobi National Park. Although tourists stream in and out of the region, Kiserian’s educational system struggles with inadequate resources, including lack of a suitable library. 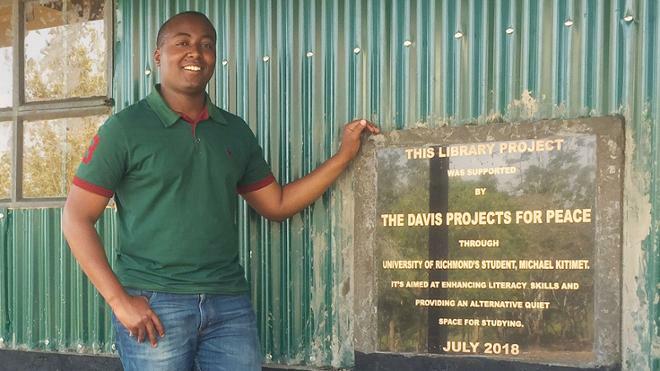 Inspired by his time studying in Boatwright Memorial Library, Kitimet raised funds to build a library that is the first of its kind in Kiserian. The original plan called for it to be housed in a school, but once word of his project began spreading, plans changed. “People from all walks of life were calling and emailing me to express their interest in donating books for the project,” he said. “Following the immense goodwill from donors, I and the school saw fit to build a new structure from scratch in order to accommodate more books and more students,” he said. Kitimet raised funds to build a library that is the first of its kind in Kiserian. Construction finished in midsummer. In late August, once the walls were painted and the books shelved, a library once designed to hold 30 students opened with space for 90. The effort is supported by a $10,000 grant from the nonprofit Projects for Peace, which funds grassroots efforts by undergraduates to address the root causes of conflict. UR ranked No. 7 in the Institute of International Education’s Open Doors Survey of top 40 baccalaureate colleges hosting international students in 2016-17. Kitimet is one of 390 international students from 76 countries enrolled during the current fall semester, according to the office of international education.